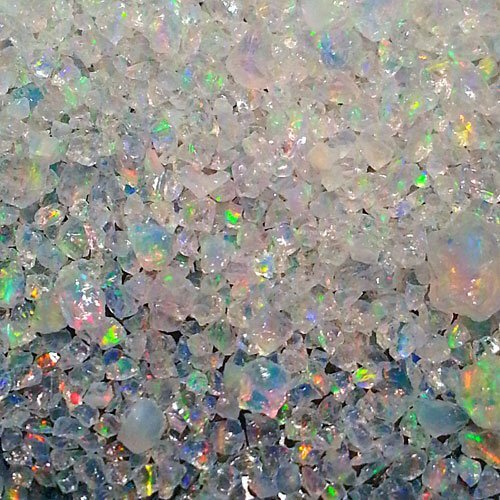 These pieces are unpolished chips and small chunks of rainbow fire (crystal to opaque body color) white Gilson opal. 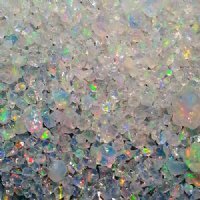 In other words, the opal is chipped up roughly, so pieces are randomly shaped and have an assortment of surface types. If you want smaller or larger bits, please let us know and we will do our best to choose pieces that will work for you.